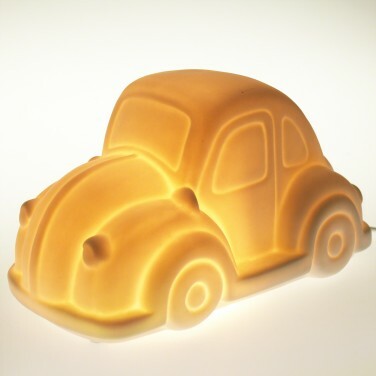 Kids and grown ups alike will adore this sweet car night light that's based on the much loved VW Beetle of old. 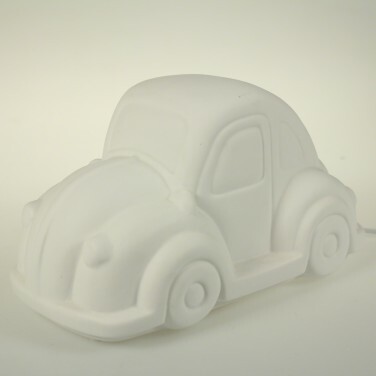 Made from matt white porcelain for a contemporary feel, the finer details of the car are outlined with pin holes that allow the light to shine through. 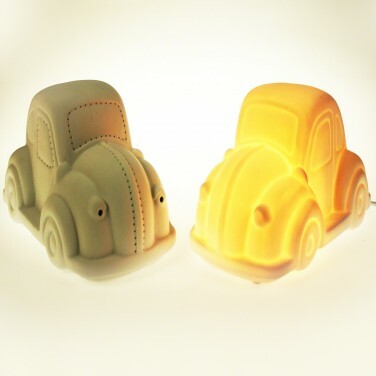 Mains operated with an inline switch, this adorable lamp emits just enough light to reassure little ones at night making it a very stylish night light.